Thames 2016, a season of 150 unmissable events which brings London’s river to life throughout the month of September with an exciting programme of arts, cultural, archaeological and river events. Following the success of the first two festivals, Totally Thames 2016 presents a new programme of live and interactive art along the Thames’ entire 42-mile stretch through the capital. Floating Dreams is a major London installation by Ik-Joong Kang, one of South Korea’s most renowned and celebrated multimedia artists, and will take the form of a compelling, large-scale installation situated in the centre of the Thames by Millennium Bridge. Fluxland, an immersive artwork by French artist Cyril de Commarque, will navigate along the Thames on a series of journeys over the course of the month, welcoming the public on board and becoming a space for debate. The Singing Bridge is a brand new work by composer and artist Claudia Molitor, in partnership with Somerset House, which explores the fascinating history of Waterloo Bridge (aka ‘The Ladies’ Bridge’) and its rebuilding during World War II by a predominantly female workforce. These trail-blazing construction workers will also be celebrated in Concrete History’s Light up the Ladies’ Bridge, two evenings of live performances, film and large scale photographic projections on the National Theatre’s fly tower. The commissioned live art programme will also explore London’s hidden and secret spaces. 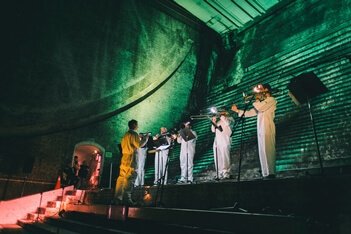 Following the sell-out success of 2015, Iain Chambers will curate the second Bascule Chamber Concert inside Tower Bridge, London's greatest hidden space, for an intimate vocal concert. Theatre company Vocal Point will present a new play, Mooring in Brunel Museum’s remarkable Sinking Shaft, set on the Thames, Mooring is inspired by true events and confronts themes of riverside homelessness, remorse, and coming to terms with one’s past. The Brunel Museum will also host a wider series of events, including boat trips, opera, live music and more. The largely untold and rich history of an estimated 1,000 houseboat residents along the tidal Thames is brought alive in a brand new exhibition Life Afloat. Delve into the stories and history of houseboat life along the Thames through photography, archive research and oral history interviews that will be on show at Watermans for the month of September before moving to the Geffrye Museum. Totally Thames has teamed up with 5x15 to bring their distinctive brand of intellectual cabaret to buzzing Docklands’ arts hub Trinity Buoy Wharf for a celebration of the creative spirit of London and its river, featuring five magnetic performances. On The Docks: Stories From the River line-up includes Richard Wilson, Orlando Seale, Inua Ellams and Rachel Lichtenstein plus a fifth speaker to be announced. experienced and first time paddlers to the river throughout the month. Tidefest returns for 2016, bringing with it great activities for all the family including foreshore walks, an angling competition, boat trips, kayaking and nature reserve visits. 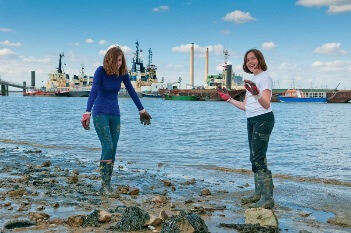 There is also so much to discover and learn along London’s foreshores, so why not join one of the many Archaeological Foreshore walks with leading experts on hand across London and don’t miss the ever-popular Tower Beach Open Day offering a unique opportunity to enjoy the foreshore by the Tower of London. 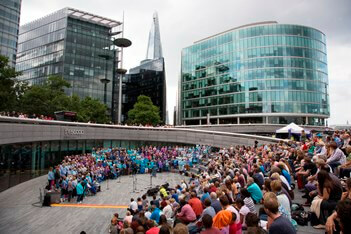 Adrian Evans, Festival Director, adds: ‘I am thrilled to be announcing this year’s programme for Totally Thames. There are spectacular events and thought-provoking opportunities to discover hidden spaces along, beside and underneath the river. There are untold histories, exhilarating river events and much more – with over 150 events, we’ve got something for everyone. So do join us in September.